Our ONLINE YOGA SCHOOL supports you on your personal yoga journey and is accessible to you from anywhere, anytime. "For me, the audio lessons of this ONLINE YOGA SCHOOL are ideal. Once downloaded, the lesson is always with me. So I can enjoy yoga in another country, on the beach or in the forest. If I'm not sure how the movement works, I just watch the corresponding video. It's like having my private yoga teacher with me wherever I go." "Those who know Deddou‘s live yoga sessions will love the POP UP YOGA ONLINE SCHOOL. All others will be absolutely surprised at her positive vibes! It‘s amazing how Deddou shows and teaches her fabulous yoga flows in a perfectly understandable way. Even online you can feel her great passion about teaching yoga and showing how one can always take the next step forward. Personally I appreciate all those different possibilities and flows the online school has to offer. " a 20min flow video with the corresponding audio file - I really like practicing only with the audio, once I know the moves and poses from the video. an additional 5min video where I share some well-being tips with you. These are the 2 languages I use on this platform. In this document, I share with you my personal morning ritual. You will learn 9 vital steps for a joyful and balanced start into the day. Enjoy this freebie & know that more life enriching content is waiting for you in this ONLINE YOGA SCHOOL. Together with Uma E. Knight I have created a Training program called “The Path of Yoga”. It is a celebration of the practices that have deeply impacted our lives & supported us on our own journey to healing, self-care and self-knowledge. In this 5 day program you’ll get a taste of the teachings shared in the Path of Yoga. Get access to “ Sneak peek into our world” by using the code on the back of our flyer. Are you frequently exhausted from your job, but still have troubles falling asleep at night? Do you get even more stressed just by looking at your to-do list, because it seems never ending? This online course is designed to help you find more balance in your daily life and its content is divided into 6 modules. Develop your morning ritual, and incorporate a 20min Yoga practice, or a 10min meditation to start your day well. Feel spacious in your body and refreshed in your mind. Get 4 videos for short breaks during your day in your office chair. It’s the small things that make a big difference! In this module you get 4 short videos to help you de-stress in little time. Don’t let you body get stiff and tense. Move in your lunch break – I promise you, you’ll get fresh energy and a clear head for the afternoon. Move, stretch and strengthen in 4 Lunch Yoga classes each between 20 – 40 min long. Learn what it means to be present, connected to the “now” with a clear mind. Get 2 PDF’s and 2 Videos to bring more mindfulness into your life. Good sleep results in high energy and vitality the following day, but also in smoother digestion, better immunity, faster thinking and improved problem solving skills. Get 2 tutorials, 2 evening yoga practices, and 3 guided meditations to help you relax after a long day and prepare for a restorative & deep sleep. If you would like to practice from home or anywhere you go at the time of your choosing. If you would like to have a wide variety of Yoga, Pranayama, Meditation & inspirational videos at your fingertips. If you would like to practice with Deddou, founder and head teacher at POP UP YOGA, in yoga videos as short as 10min and as long as 75min. then this monthly membership is for you. Wünscht du dir auch mehr Dehnbarkeit und Flexibilität in deiner Hüfte und den Hamstrings? In diesen Videos zeigt dir Deddou wie auch du zu mehr Flexibilität & Muskellänge kommst. For most women it is more challenging to gain strength than flexibility in yoga. Are you one of them? I am. And this is why I came up with this course. 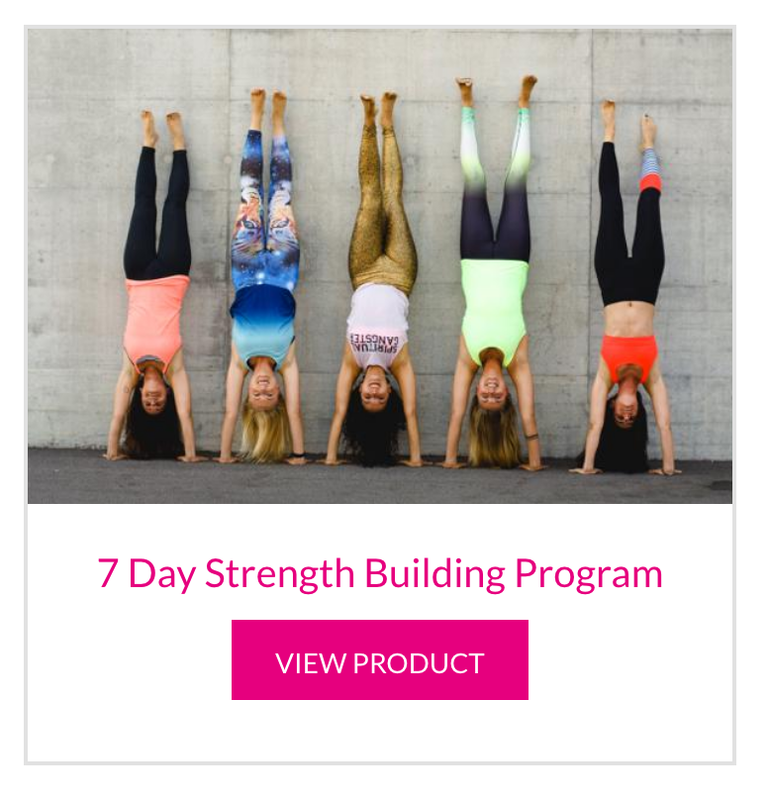 During 7 Days you get one video per day that supports you on your journey to get stronger.